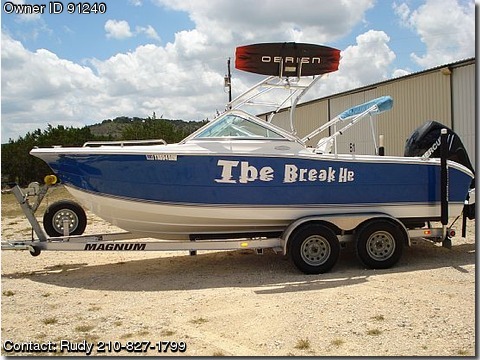 Call owner Rudy@ 210-827-1799.Built for the serious fisherman or fun in the sun. runs like a dream Also has dual batteries. speakers, and 2 amplifiers,cd radio with aux connection.